Game 1 of the 2018 State of Origin season is done and dusted, with the heavily favoured New South Wales Blues running out winners 22-12 over Queensland. Queensland finished on the wrong side of the scoreboard, but showed plenty of spirit and fight in the loss. Here are the player ratings for the Queensland Origin side. Click here to read the Blues ratings for Game 1. Solid at the back but nowhere near the quality of the man he replaced. More suited to a bench role. Took an excellent intercept which kept his side in the game at an important moment as it had looked as if the Blues might be running away with it. Kickied two crucial goals including a sideline conversion, while his 223 running metres was only slightly below Tedesco’s man-of-the-match effort. An absolute captain’s knock from the man from Macksville. Inglis was everywhere in attack and defence for the Maroons, chiming in with crucial runs and hits in the game’s big moments. 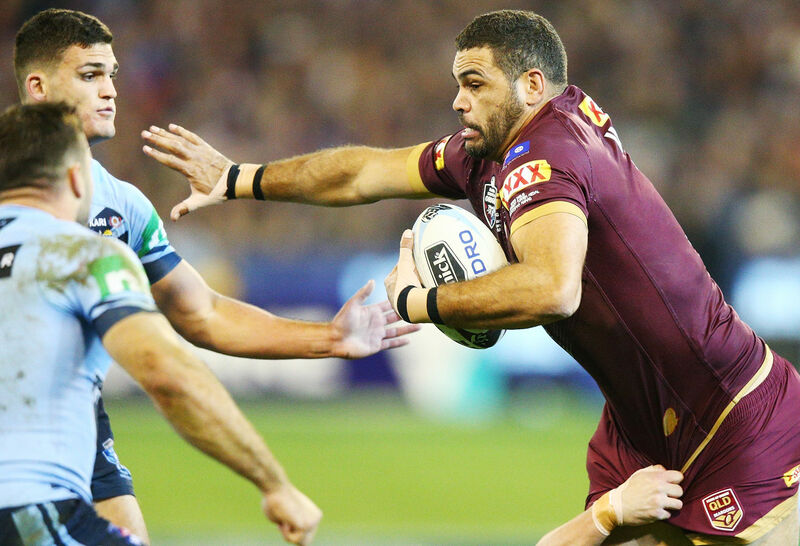 As the only Maroon with more than ten caps for his state, Inglis showed he’s the man to lead the Maroons into their new era. One of his most absent performances in recent years, the normally reliable Chambers failed to do much in attack. In defence, his ten missed tackles were the worst of anyone who took the field. Gagai has been a pillar of consistency in recent years, and was impressive in grabbing the ball and putting it down early in the second half despite a compound dislocation to his finger. Ran for 160 metres, more than any Maroons forward, but came up with two errors. Munster started strong and looked solid for the Maroons despite missing eight tackles. Lacked a bit of creative spark and needs to work on his partnership with Hunt. In his first start for the Maroons, Hunt looked at home – particularly with his pinpoint grubber for Gagai’s try. Hunt’s long kicking game kept his side well in the game. Was found wanting up the middle in defence, but in fairness to Hunt he wasn’t the only Maroon left grasping for air by an excellent Tedesco. The Blues targeted the big man and caught him Napa-ing, with six mixed tackles. After running for less than 100 metres despite starting, there’s a big chance he’ll be replaced by Matt Scott or Tim Glasby for Game 2. Like his teammates at positions 1, 6 and 7, his performance wasn’t up to the standard of the man he replaced, but he made few errors and was generally pretty quick around the ruck. Not as poor as his fellow prop, but not much better. Cooper looked less dangerous than ever on the left edge without Johnathan Thurston to run off. Came up with a match-high three errors, but his 40 tackles were essential up the middle for the Maroons. The debutant made 45 tackles but missed eight, far too many for a second rower in Origin. As one of the more experienced players in the line-up, coach Kevin Walters would have been expecting more from Josh McGuire. A solid but unspectacular performance. A surprise selection given the form of 18th man Kayln Ponga, Milford is unlikely to be selected for Game 2 – even if Billy Slater fails to return. Never seems to play as well when he’s not lining up against Paul Gallen. Needs a new sparring partner. Not good enough from the man charged with taking over from Matt Scott as the future of the Maroons’ go forward. Arrow was largely absent in attack and defence, but was given few opportunities. Didn’t play, but picked up a 6 just to show how much his team needed him. His positional play and leadership were sorely missed, and everyone in Maroon will hope his hamstrings hold up for Game 2.